I may be crafty but I'm certainly not stylish. I bought this pretty shade of pink nail polish, but never have time to give myself a manicure. When I do, I'm not patient enough to let it dry and always end up smearing and smudging the nail polish once it's on my nails. Most of the time my nails just go unpainted. 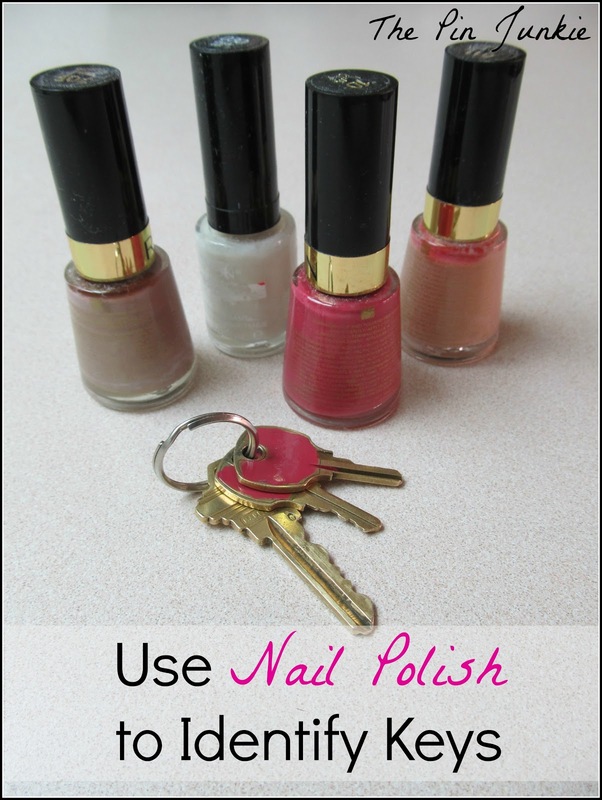 I figured if I couldn't enjoy my favorite shade of pink polish on my fingers, I could enjoy it on my keys! If you're like me, you have a lot of keys that all look the same. You can buy color coded key covers (say that three times fast!) that help you identify your keys, but I love it when you can find a solution that doesn't cost anything. This is just a super simple way to quickly identify your keys. A clever way to tell them apart is to put nail polish on them! 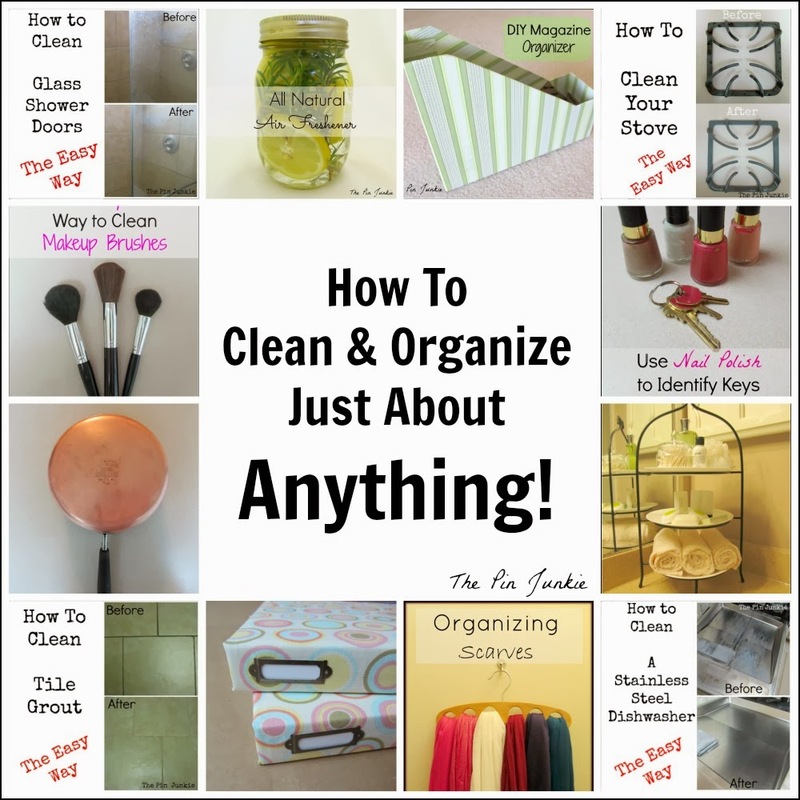 Find more organizing tips here! Genius! I'm definitely doing this! I do something similar with my contact case since my husband and I have the same cases but not the same prescription. Not a mix up we want! lol Nail polish is amazing in so many ways. I keep wanting to do this and always forget until I see it. Smart idea and oh how pretty! They will make for a great conversation piece too. Thanks for sharing with Share Your Cup. I use the plastic key rims on my house key so I can feel it in the dark,great idea for the rest !!!!!!!!!!!! This is a great idea! I need to do this, I can not keep my keys straight they all look the same. Thanks for sharing!